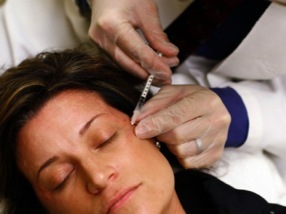 "Botox Service Makes House Calls"
Botox parties may boom in the new year, thanks to Cosmetic Care Concierge, a new company offering to perform noninvasive procedures at customers’ homes. The service uses registered nurses who are experienced with cosmetic injections, and show up at your door. "The Cosmetic Lift That Comes to Your Front Door"
A North Texas entrepreneur is taking cosmetic procedures out on house calls. 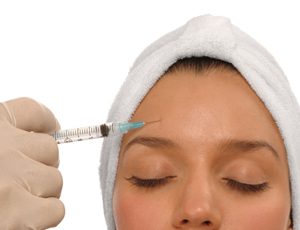 People looking for deals on cosmetic procedures have been throwing illegal, unlicensed "Botox parties" for years. But Blake Andrews' Cosmetic Care Concierge is the first company licensed to do noninvasive cosmetic procedures at home. "I really feel that I've gone out and got the best, and I've heard nothing but great things about the working relationships with our clients and our injectors, " Andrews said. The first day of December was a rainy night but that didn’t keep Dallas’ social set from making their way to the private home of Blake Andrews for the launch of his new company Cosmetic CARe Concierge, Christian Iles and Abi Ferrin also hosted the party. Guests such as Joe Pacetti, Miles Austin and Elaine Raffel were treated to fabulous fare from Lisa Garza, chair massages, cosmetic procedures and cocktails. Abi Ferrin and Christian Iles showed off her of ab-fab designs for the upcoming holiday season. Stunning! Demonstrations of Cosmetic CARe Concierge were given and Brendan Higgins was there to emcee the event and keep the party moving! Blake is CEO of Cosmetic CARe Concierge, which opens for business on Monday. They send pros out so you can get those wrinkle-killing dermal injections right in your house. © 2009 WFAA-TV, Inc. All Rights Reserved.